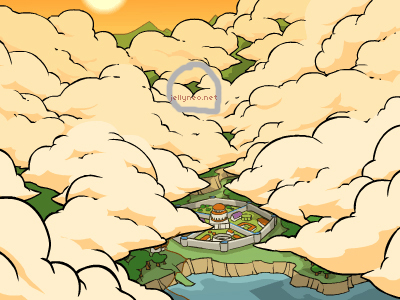 On 28th March a new area was discovered... the clouds above Altador. Click on the clouds in the top right corner of Altador. Once there, click the gaps in the clouds as highlighted below. To add the dot at the bottom without making a line, hold your mouse over the red button at the top and choose 'Add Star'. You can then select the single star without drawing a line. The Gems above the Psellia statue now glow!